When you need a new garage door, the installation experts at 31-W Insulation can help make sure the garage of your home in Goodlettsville, Tennessee, is outfitted with a door that will perform well for years to come. Our installation crew is made up entirely of our own trusted and highly trained employees, all of whom are committed to providing the best workmanship and customer service possible for you. We have dedicated ourselves to achieving total customer satisfaction in every project since our founding in 1972, and we even hold an A+ rating with the Better Business Bureau as a testament to our consistent success in that endeavor. 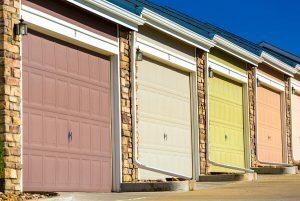 Additionally, to grant you the assurance that your purchase is protected, our garage doors come backed by some of the best warranties in the industry, many of which have lifetime terms. If you’d like to learn more about having our garage door installation team work on your home in Goodlettsville, TN, contact 31-W Insulation today.